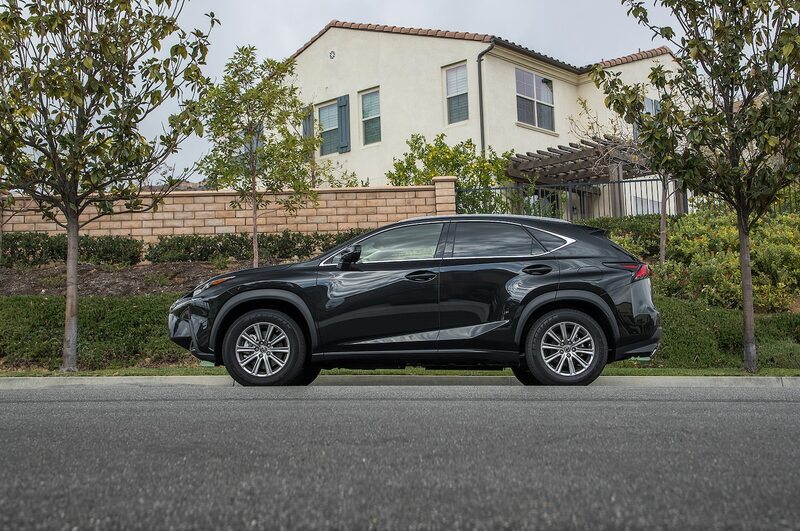 Mazda claims folks are shopping its brand against Lexus. 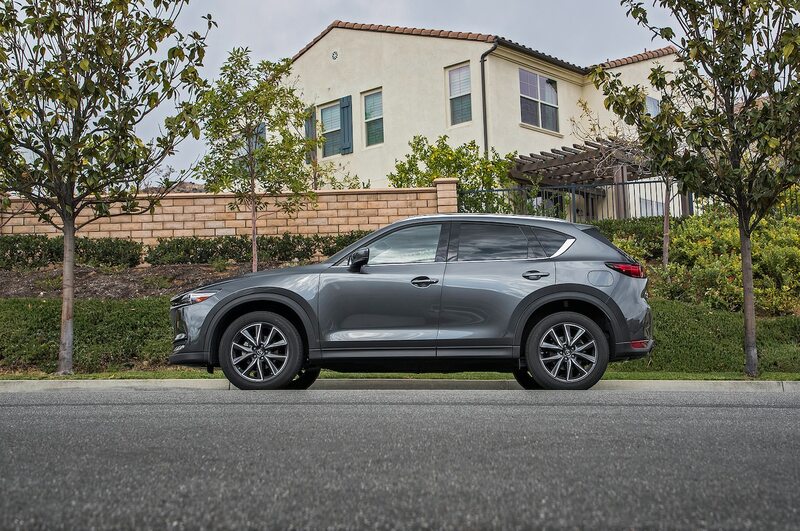 Does the CX-5 warrant an NX intender’s attention? 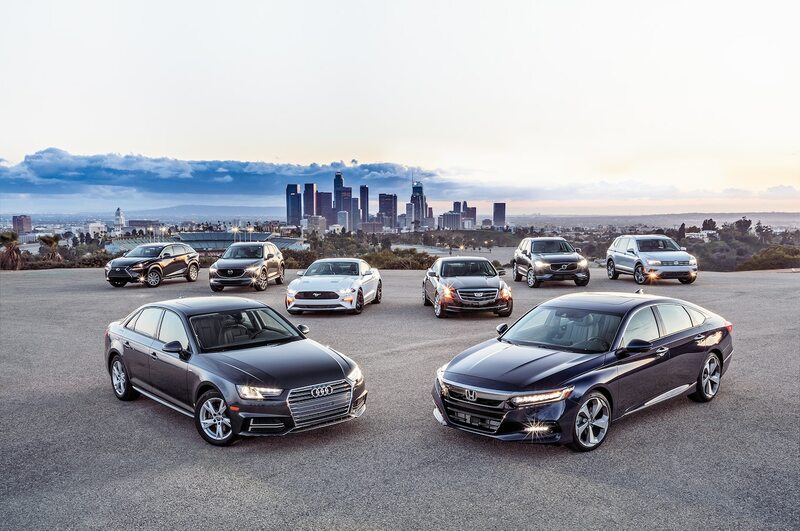 With mainstream automakers offering luxury-laden trims while prestige car brands attempt to democratize luxury, we organized four comparison tests to see who does posh better for a capped price of $40,000 USD. 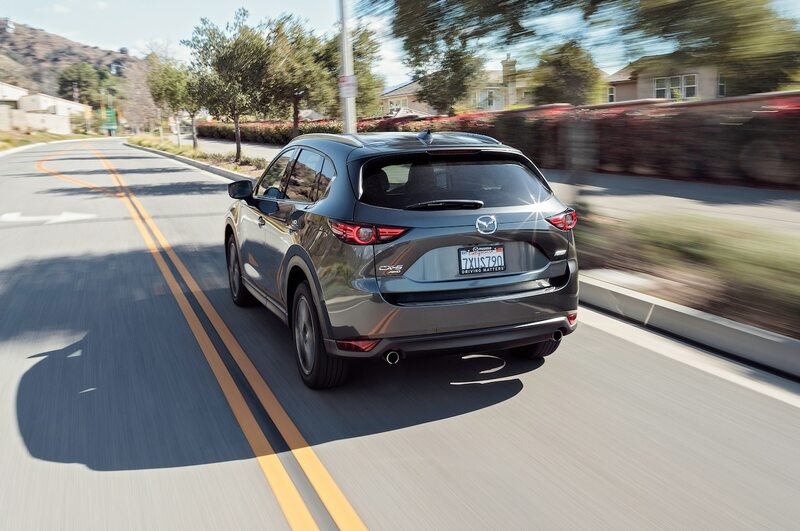 The genesis of Motor Trend’s $40,000 USD challenge lies with the 2017 Mazda CX-5. 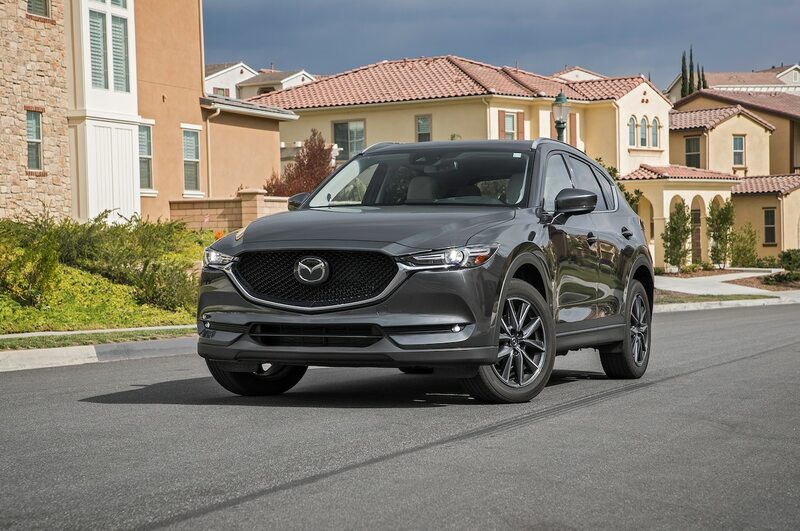 We were impressed with the compact crossover from the moment we laid eyes on it, and when the fully refined model turned up at our SUV of the Year competition last August, multiple editors (myself included) remarked on its potential to challenge luxury models rather than its mainstream competitors. Now we assess that potential. 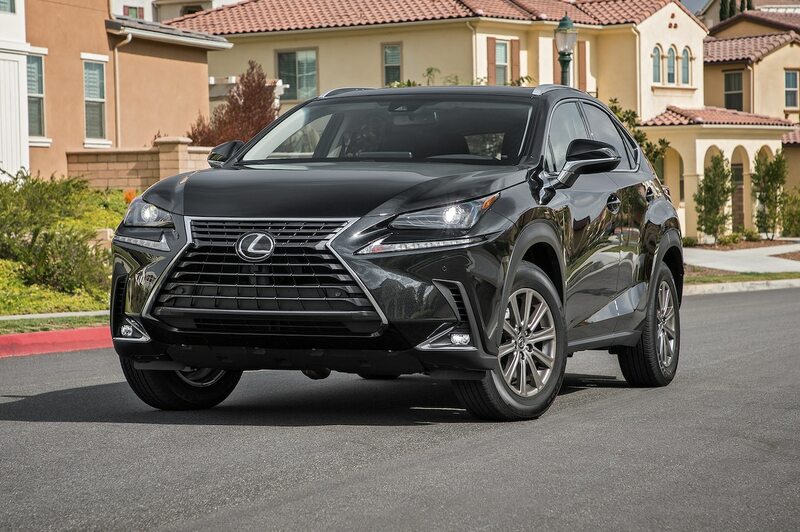 The defender of the compact luxury crossover genre in this competition is the 2018 Lexus NX 300, another vehicle that pleasantly surprised us during its turn at SUV of the Year four years ago—also earning a place among the finalists. 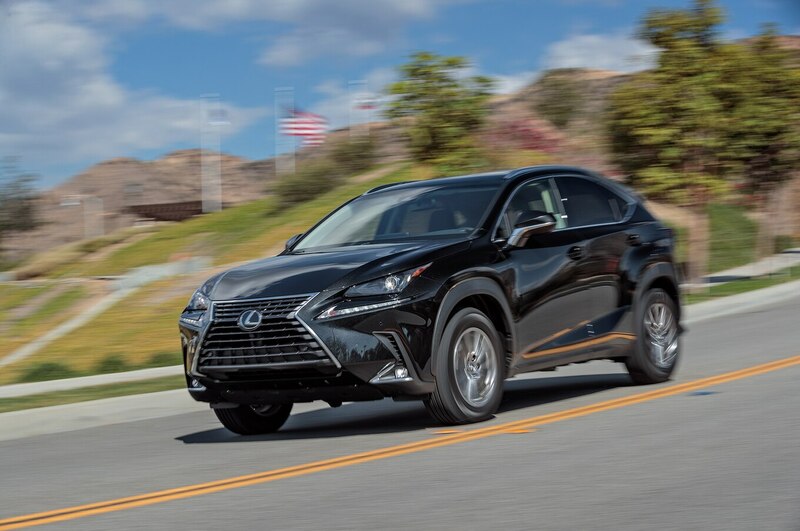 Just shy of $37,000 USD to start and $40,463 USD as tested, our NX lands just above the average new vehicle transaction price. 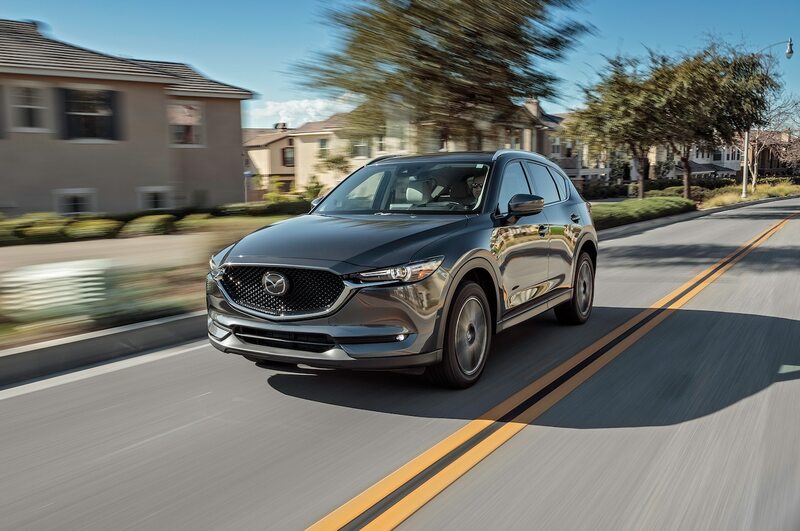 Meanwhile, our CX-5 in top Grand Touring trim comes in at just under $32,000 USD before options and $33,810 USD as tested. 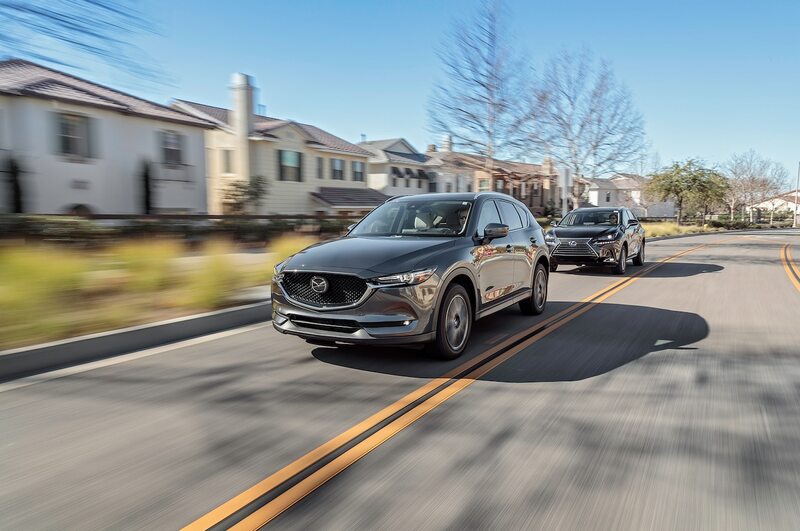 That gave the Mazda the lowest price in our field of eight and also provided the widest price gap between two competitors in our tests. 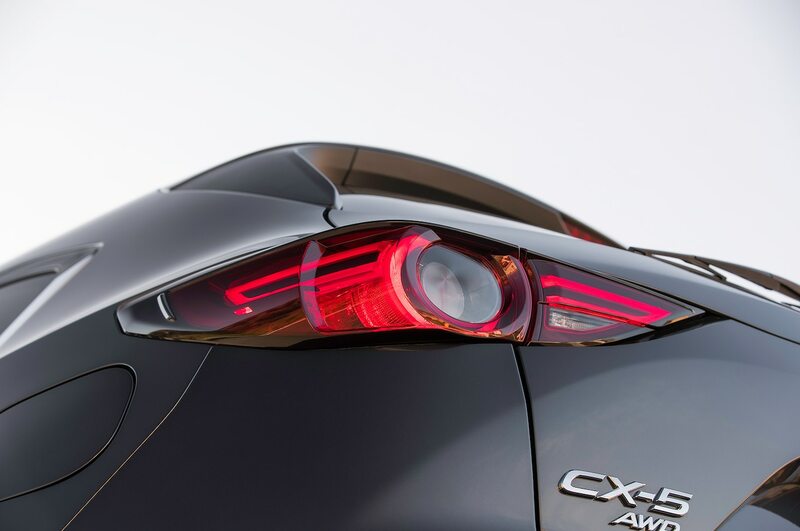 Granted, you could option the Mazda up to the Lexus’ price point, but more on that later. 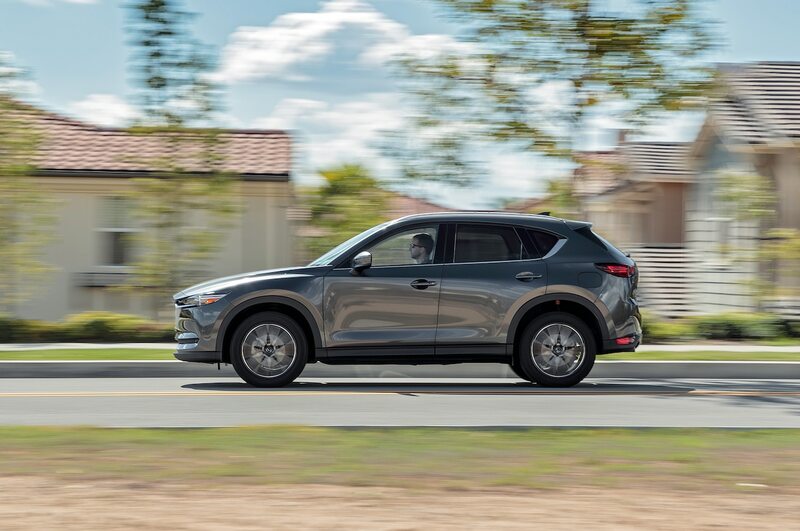 Dimensionally, the vehicles are much closer; the Lexus is slightly larger on the outside, but the Mazda rides on a longer wheelbase and offers more rear-seat and cargo space. 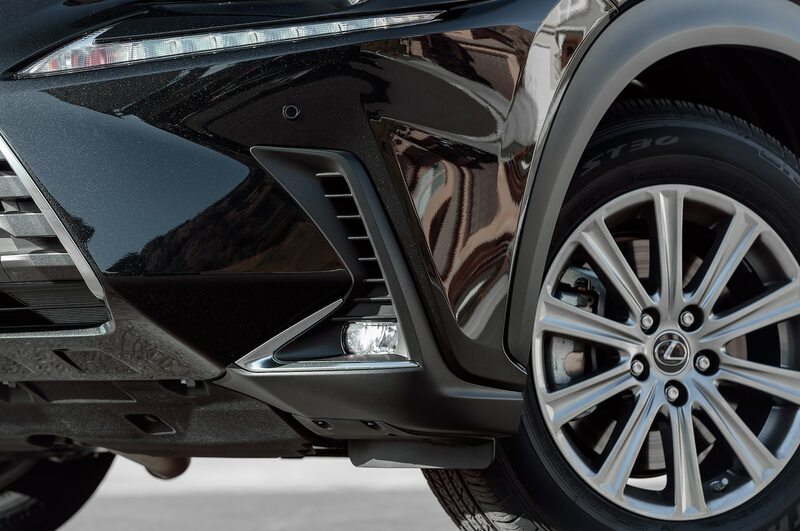 Much of what makes luxury appeal to your senses is based on first impressions, and both of these vehicles make strong ones. 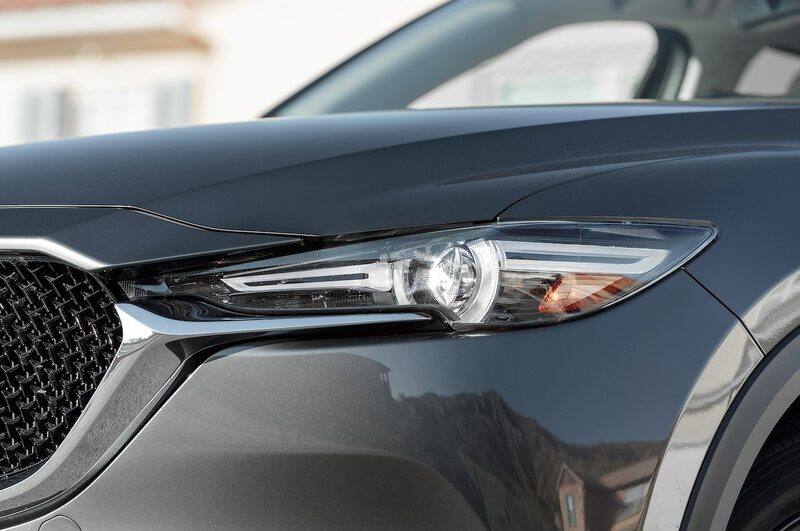 Approaching the Mazda, you can’t help but be struck by its premium-grade looks. 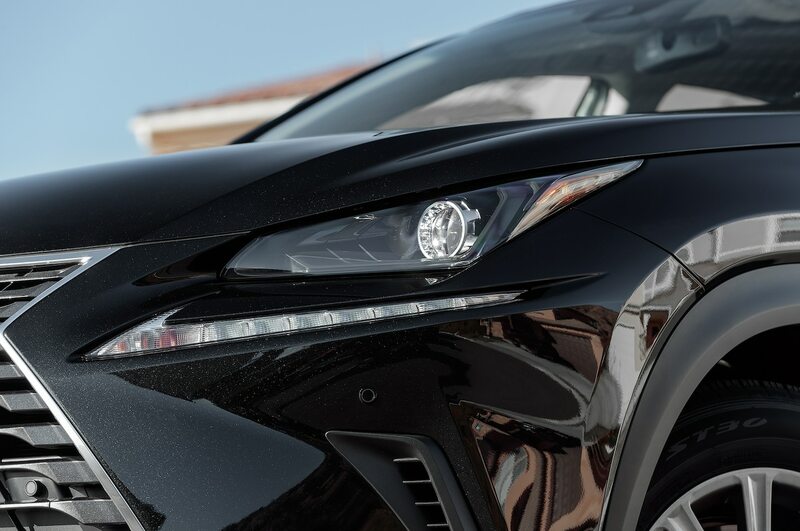 The exterior design is clean and sophisticated, an evening gown compared to the Lexus’ club dress. 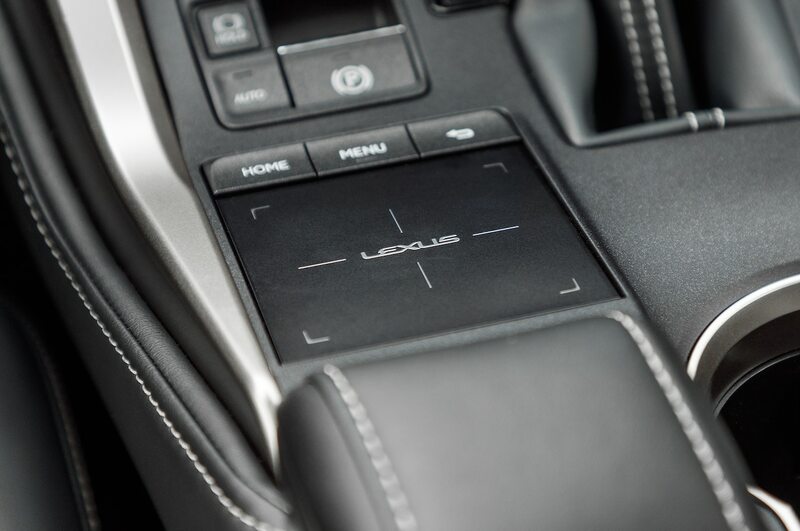 The Lexus’ many chisels and cuts are extroverted and unmistakable. 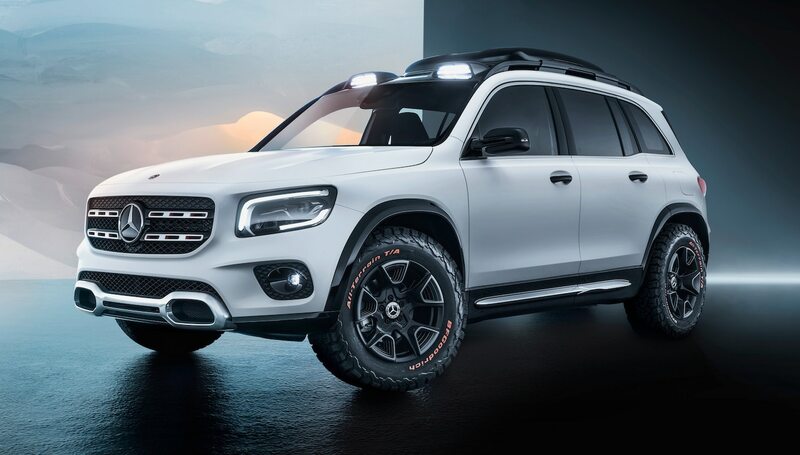 We think it’s the best application of the brand’s design language on an SUV, but we wouldn’t call it pretty. Getting behind the wheel has a similar effect. 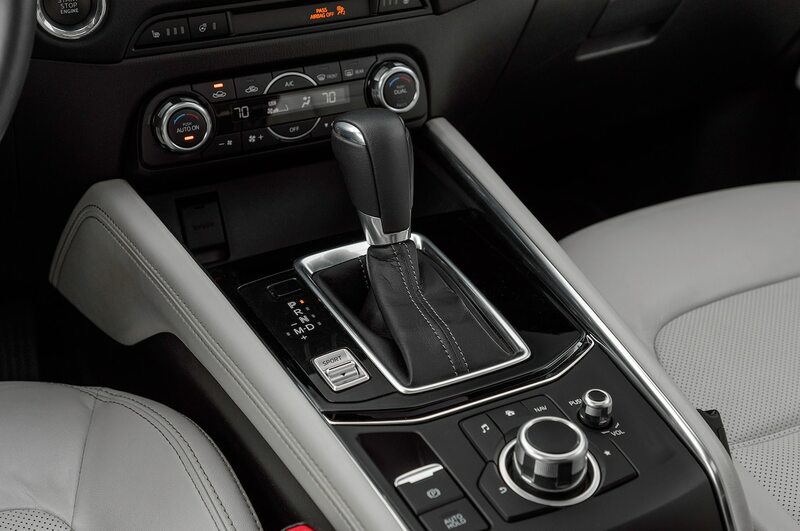 The Mazda’s interior is simple and suave with a dashing two-tone color scheme. 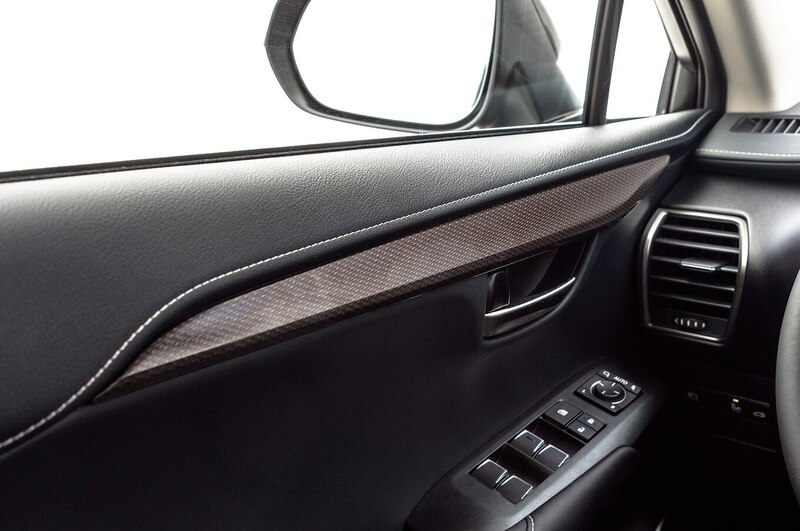 Clearly, Mazda spent real money in here: real metal trim; soft, supple leather; rich soft-touch plastics; contrast stitching; and passable fake-wood trim. 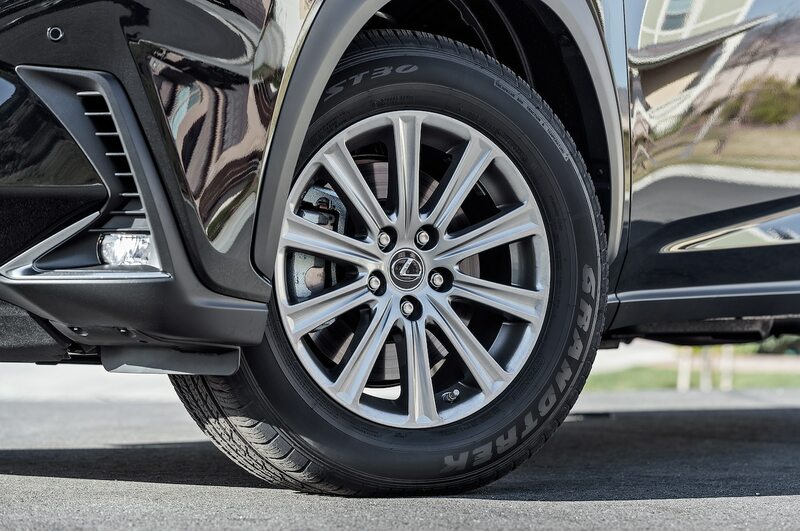 The base-model Lexus, meanwhile, plays a clever visual trick by strategically applying the expensive materials in places that draw your eye away from the decontented stuff. 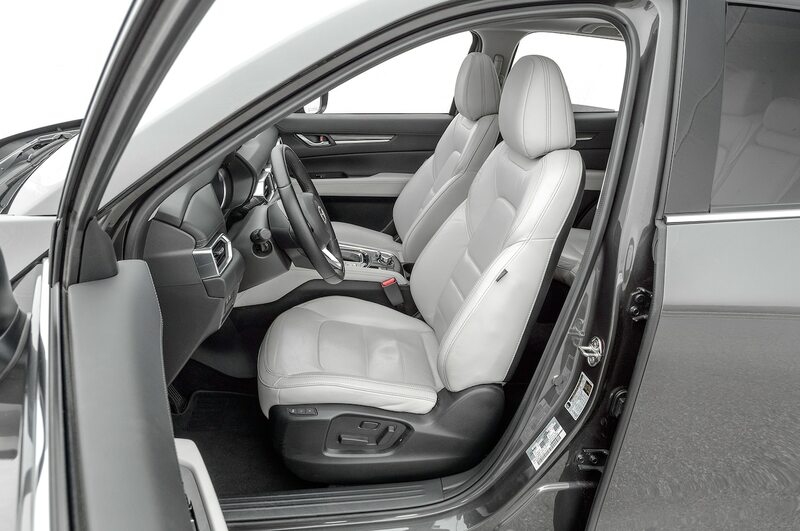 Imitation leather, which is good enough to fool you into thinking it’s the real thing, adorns the seats, steering wheel, and arm rests, and it’s set off by contrast stitching. 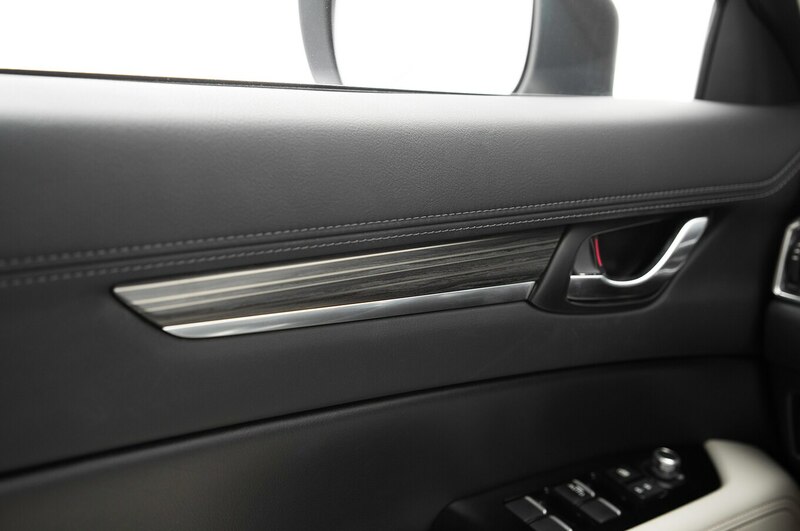 Even the silver-hued plastic trim employs a satin finish that looks expensive. 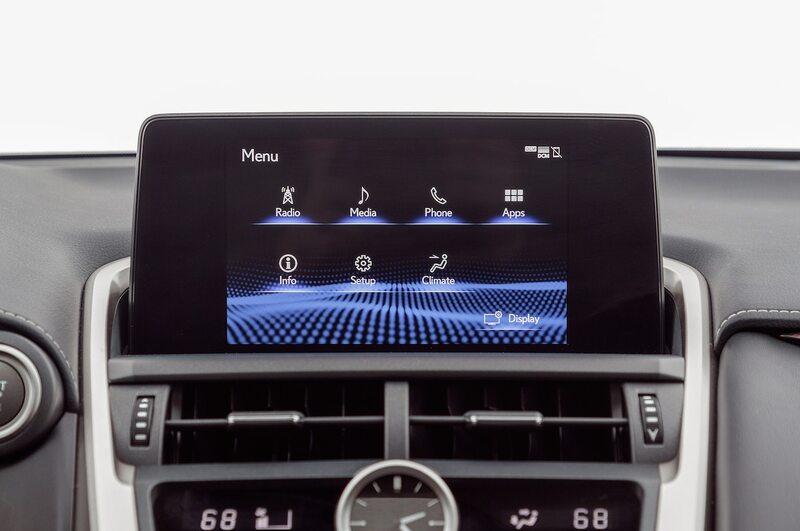 All of this neatly distracts from the center stack’s waterfall of plastic, not to mention the lower door panels that seem better suited to a Toyota Yaris. But how often do you look down there? 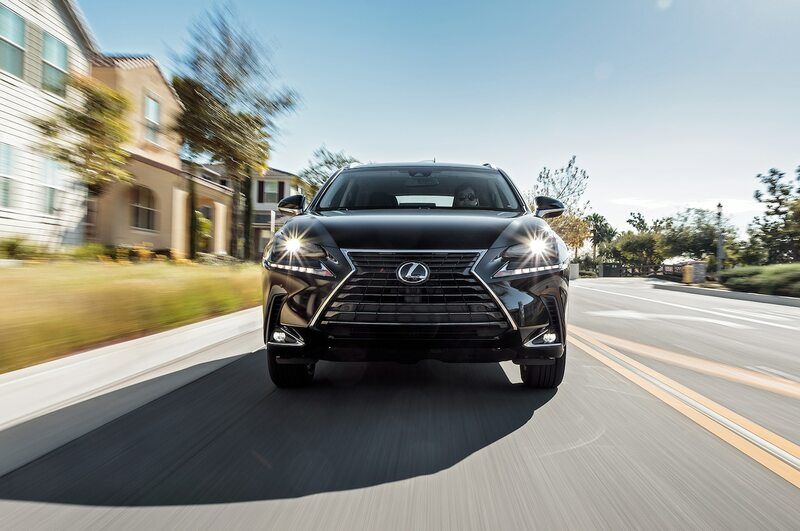 Functionally, the Lexus suffers setbacks, as well. 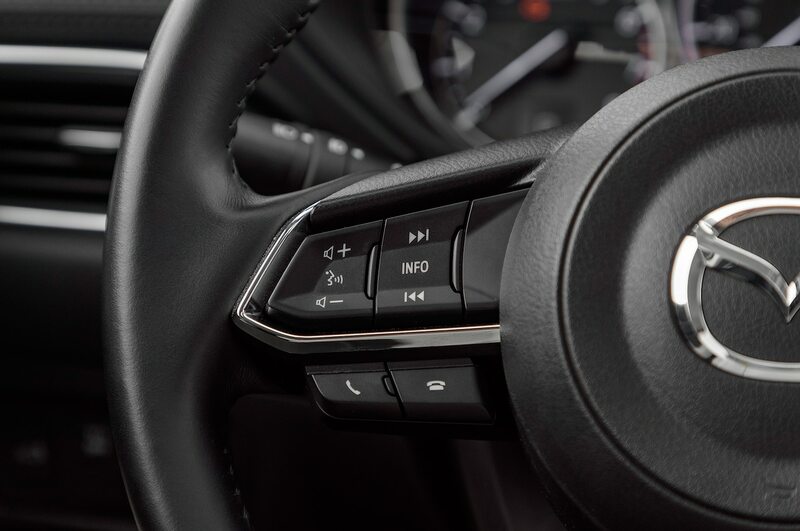 The layout of the controls on the center stack makes no sense, and half the functions are controlled by the detestable touchpad-operated infotainment system—which remains distracting even to someone who’s been using it for years. 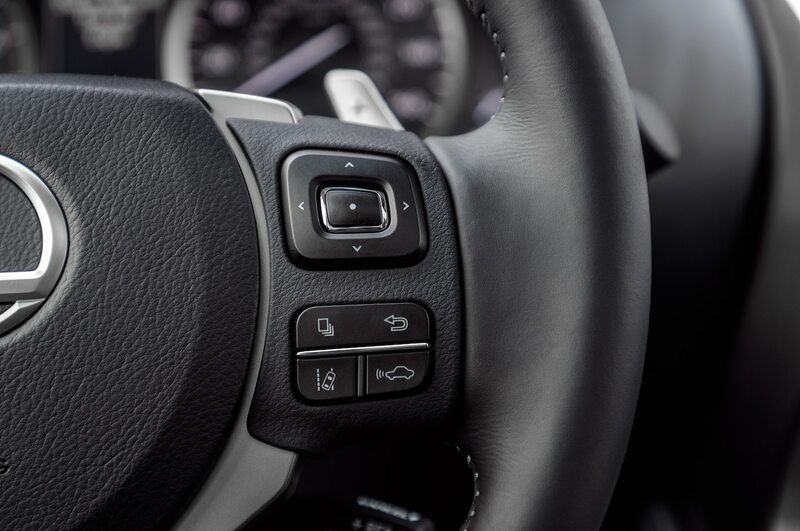 The seating position is very high, which many drivers appreciate, but the steering wheel is so far away even at full extension that you have to choke up dash and pedals to reach it comfortably. The seat itself, at least, is quite comfortable. 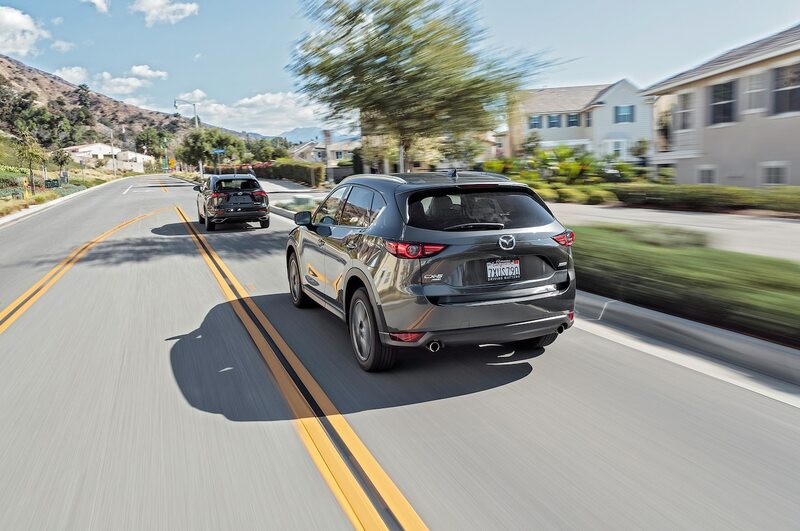 We find the Mazda’s layout much more agreeable but still not perfect. 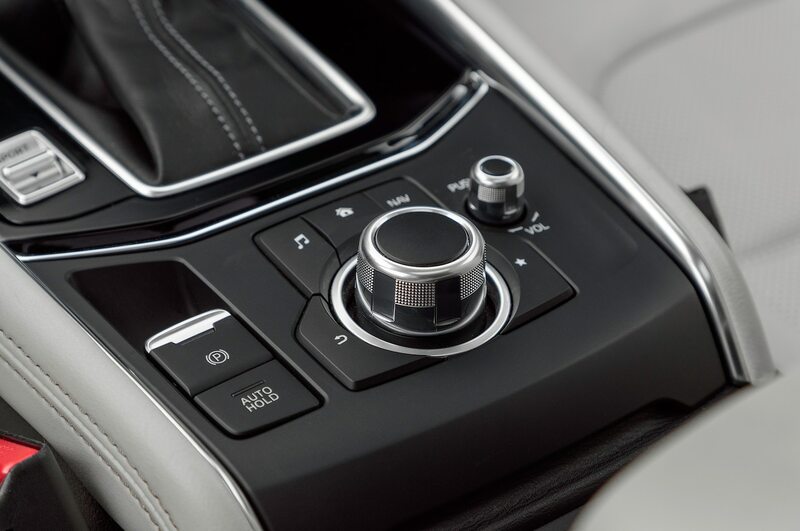 The control layout is more traditional and ergonomic, save the rotary controller for the infotainment system, which is so far rearward on the center console that it requires an awkward, gnarled-wrist reach. The screen itself is touch-sensitive, a nice alternative to the knob, but it’s a long reach, and the screen is small by today’s standards. 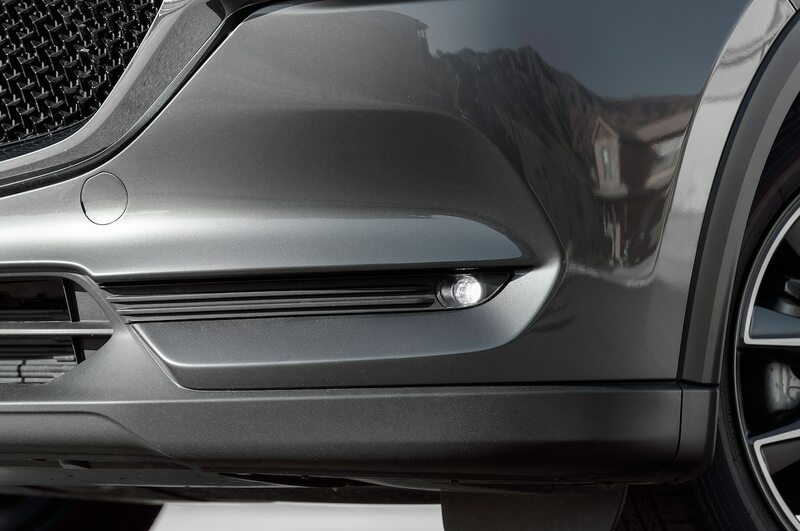 The full-color head-up display, by contrast, is a premium touch. 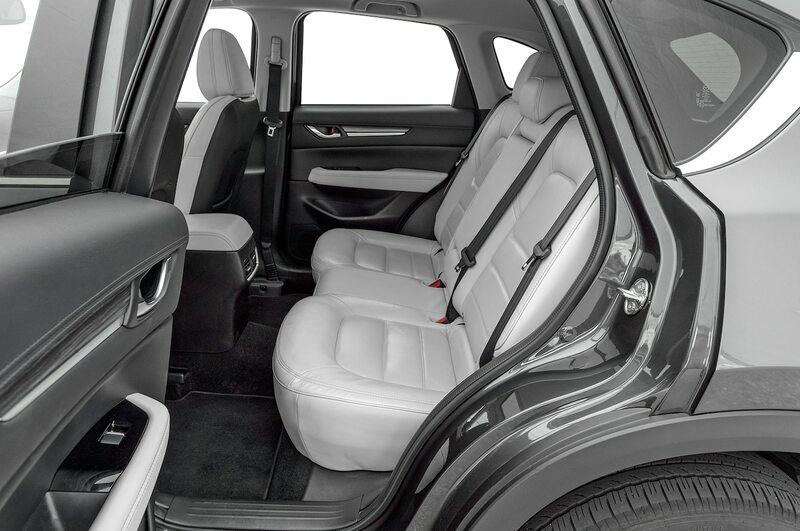 The seat, though, is harder and flatter than we’d like. 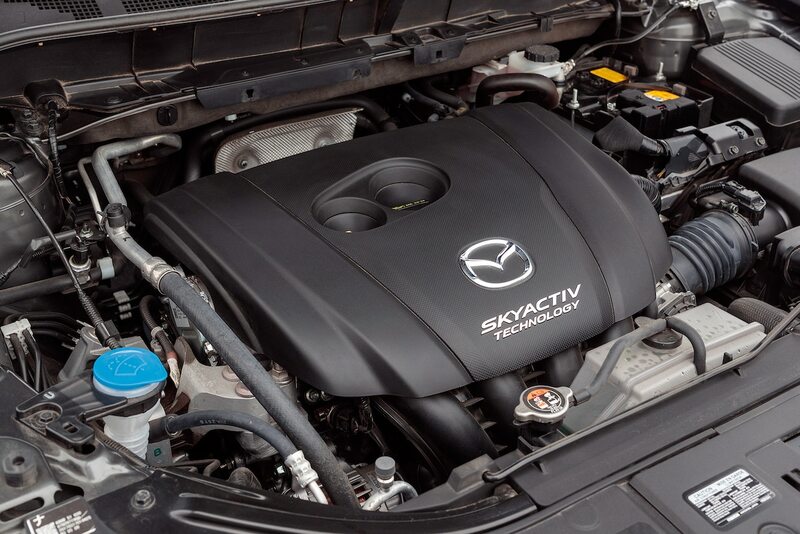 Firing the engine and heading out for a drive, the first thing that strikes you is how quiet the Mazda is. 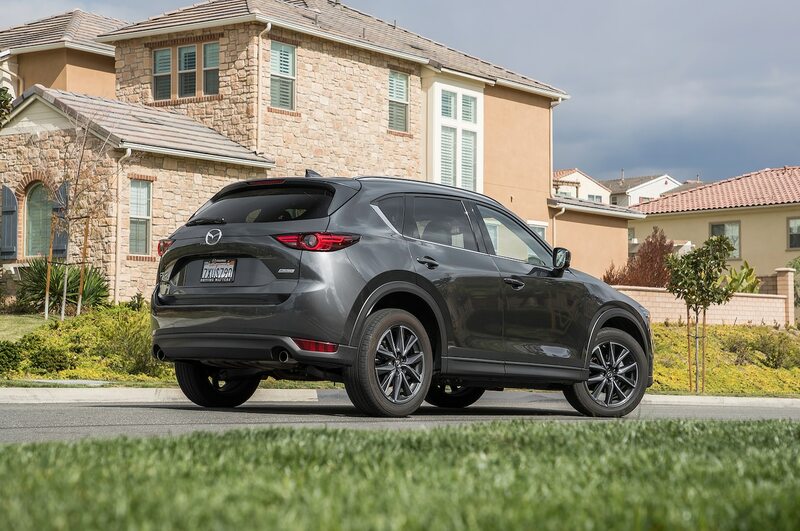 Isolation from the outside world is a luxury hallmark, and Mazda has made it a priority. 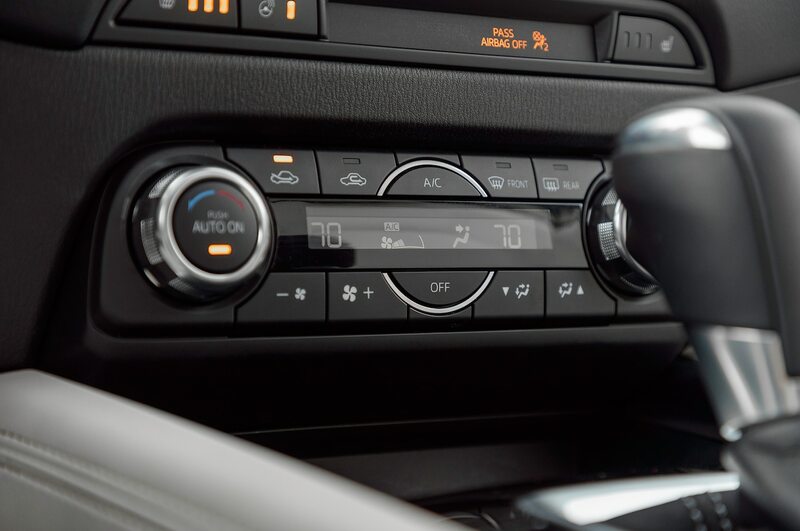 Indeed, applying a professional-grade sound meter to both vehicles returned surprising results: Cruising at 65 mph, the average ambient noise in each vehicle’s cabin is identical. 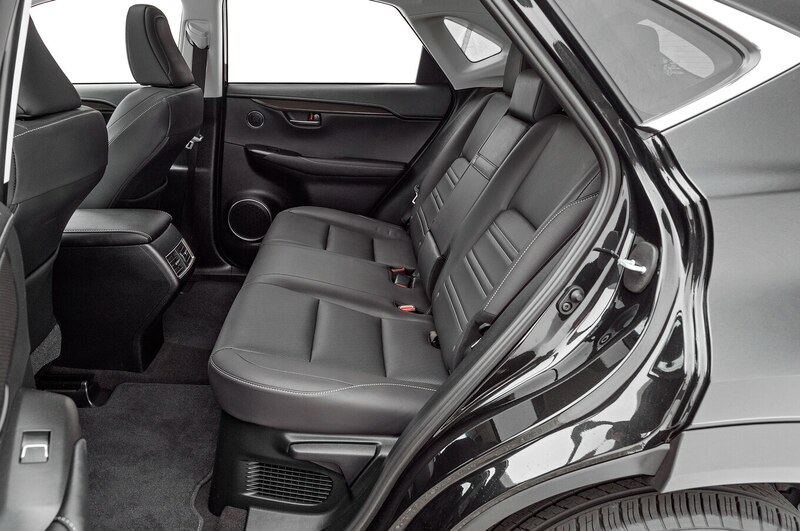 When’s the last time you got in a mainstream vehicle that was as quiet as a luxury car? 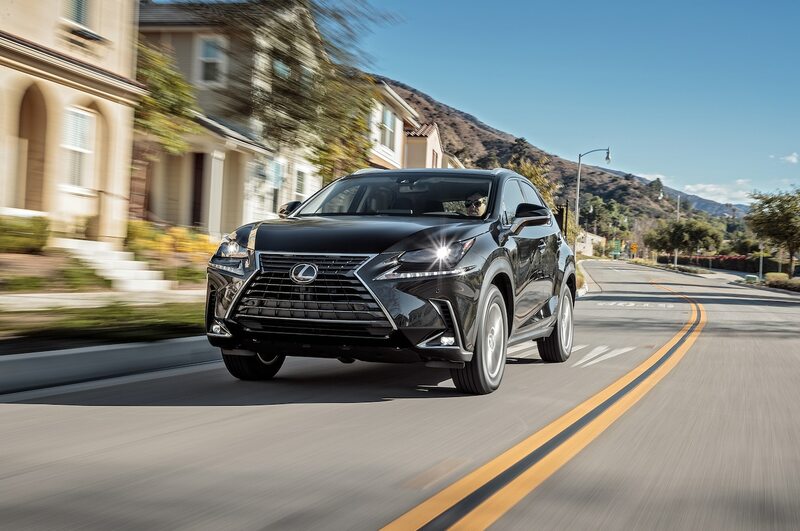 The Lexus does have a slight advantage, though, as it is quieter under full-throttle acceleration, , but you’ll do a lot less of that than cruising on the freeway. 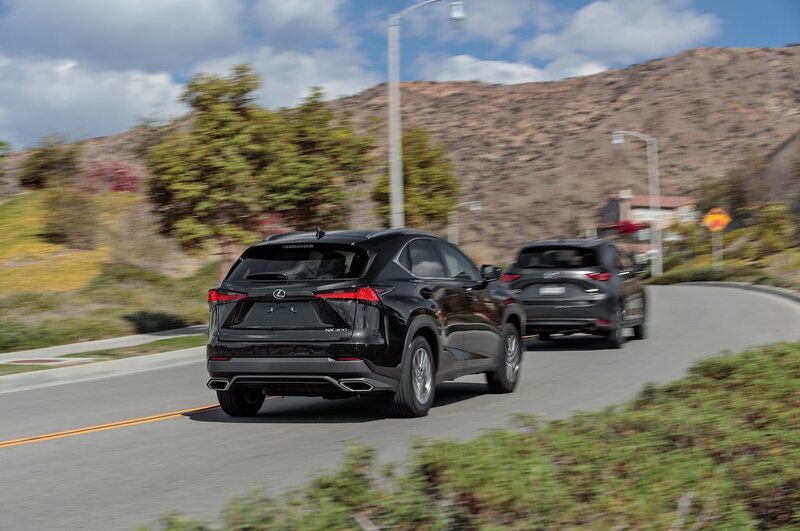 As you’re driving, you’ll notice the two crossovers have distinct driving personalities. 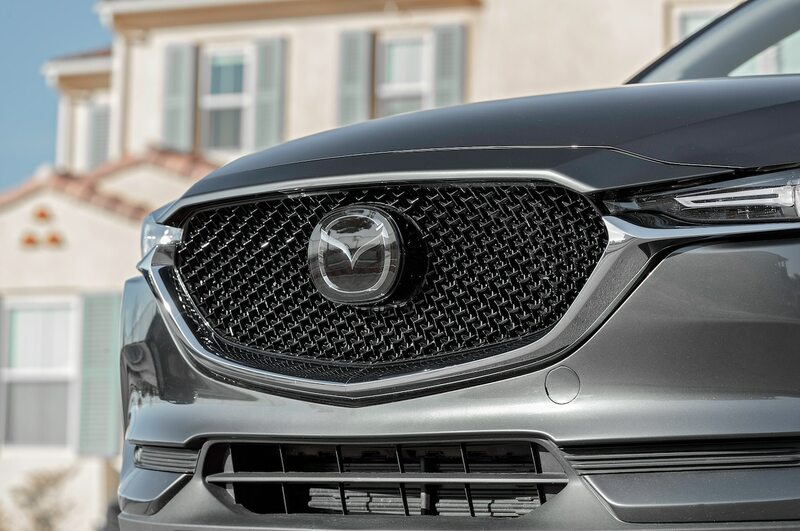 In our experience, the modern luxury shopper equates a degree of sportiness with luxury, and the Mazda has many more degrees than the Lexus. 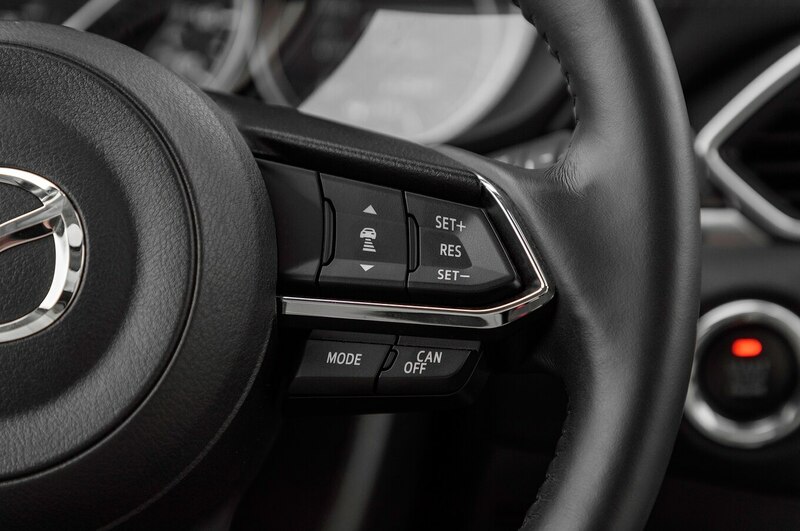 There’s a lightness and nimbleness to the way the Mazda drives, responding immediately and smoothly to your inputs. It can induce smiles even in gentle bends. 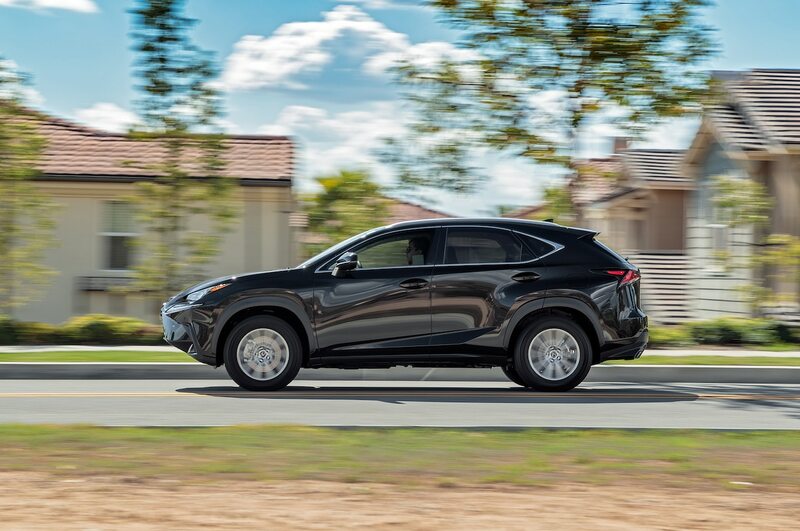 The engine is generally well-matched to the vehicle, though it could use a little more torque on the bottom end, and the transmission shifts as smoothly and smartly as that of the Lexus. 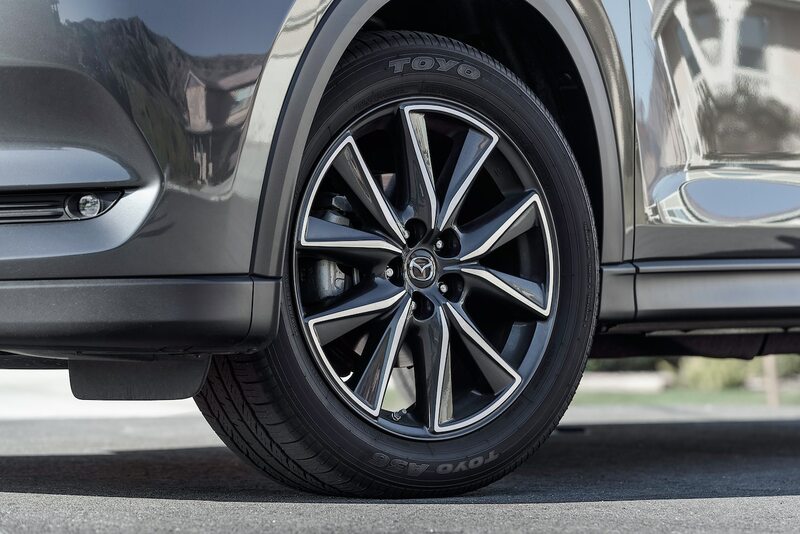 The trade-off is a firmer ride, but it’s a worthwhile one. 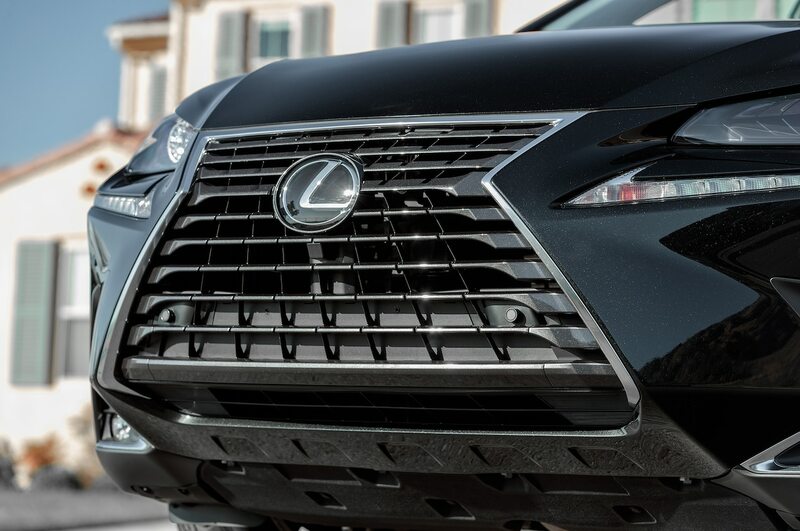 The Lexus, by contrast, feels heavy in everything it does. 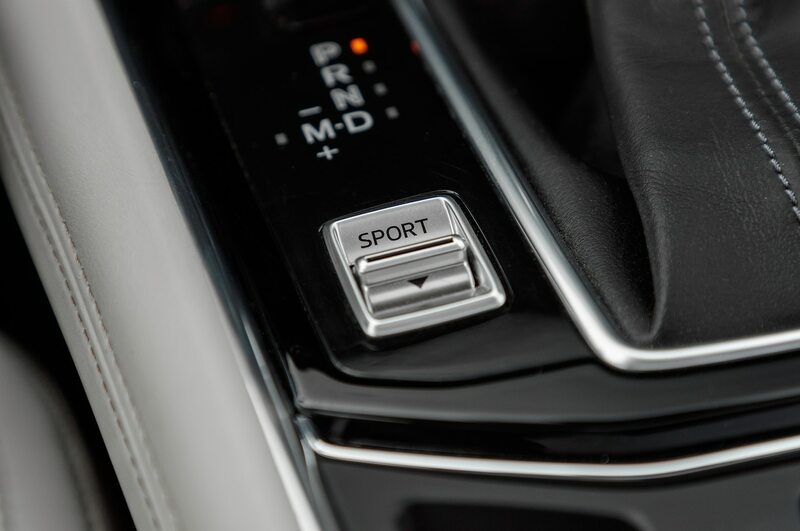 The engine surges when you step on the gas, as if mustering the strength to push the vehicle forward. 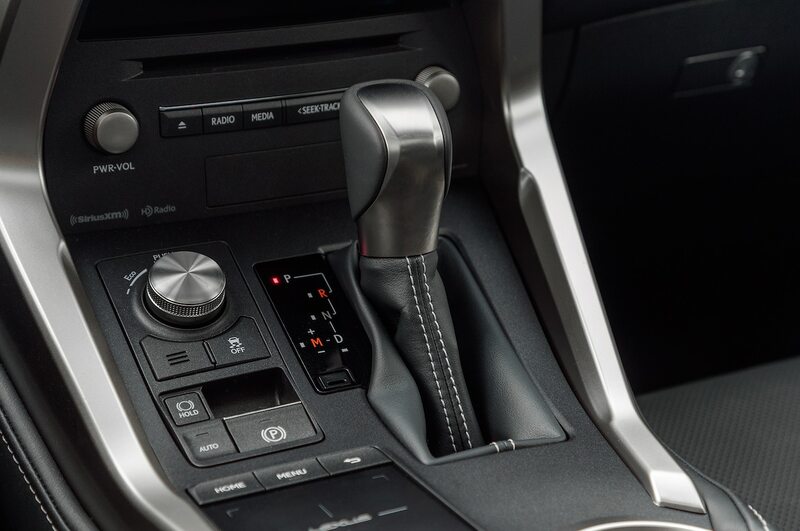 You need to push the brake pedal harder than expected to slow as quickly as you’d like. It leans more in corners than that sporty look promises and goes over bumps like it’s fully loaded down even when empty. 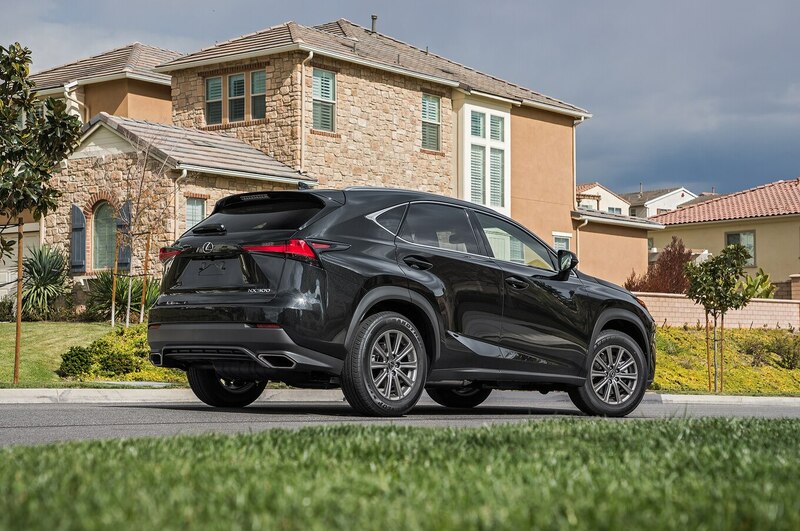 Still, the engine is smooth and responsive in a way that will make you forget it’s turbocharged, and the transmission is spot-on. The ride is softer, as befits the handling. In other words, it befits those who seek a more classic luxury experience. But your senses can deceive, and here the test numbers don’t jibe with the driving experience. 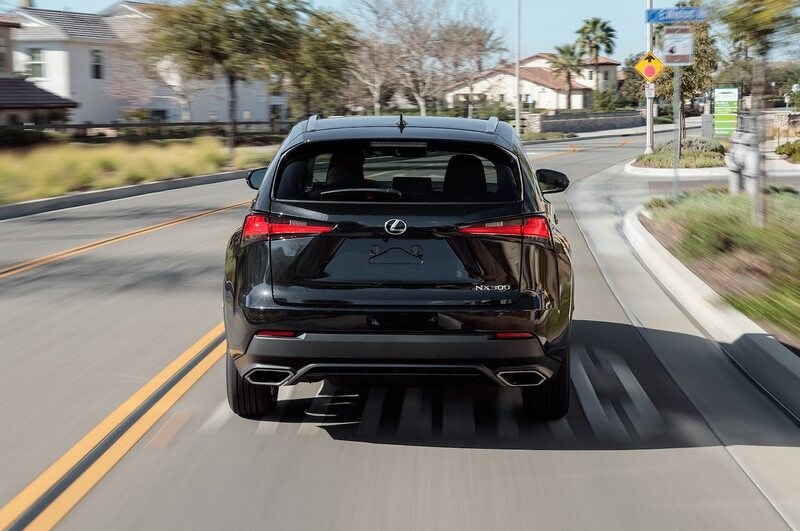 At the test track, the slower-feeling Lexus is actually substantially, surprisingly quicker in a straight line and needs only slightly longer to stop despite being the heavier vehicle. 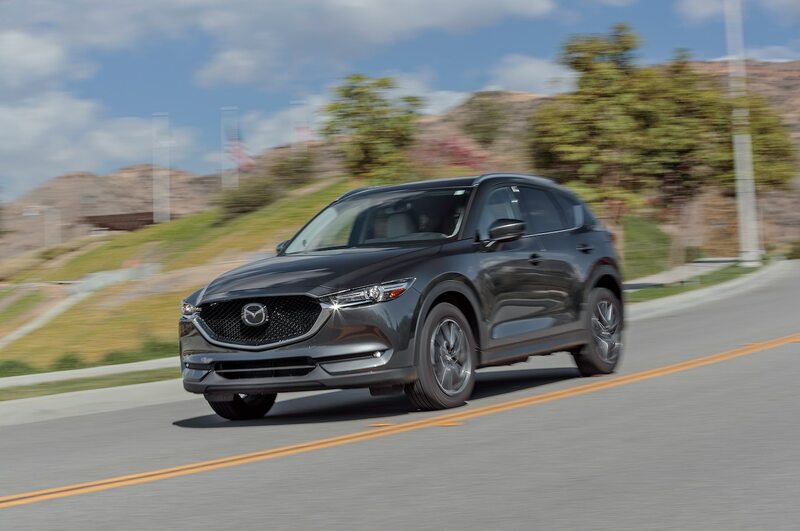 Its straight-line advantage also helps it post a slightly quicker figure-eight result than the Mazda, though the higher lateral g’s recorded in the Mazda speak to its handling prowess. 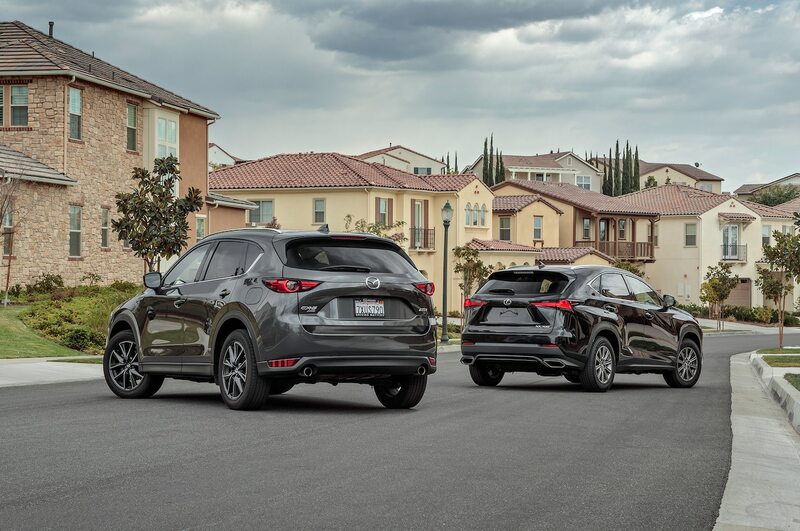 If your roads are straight, you’ll be quicker in the Lexus, but if they’re curved or if you just enjoy driving, you’ll want the Mazda. That’s you, then, but what of your passengers? 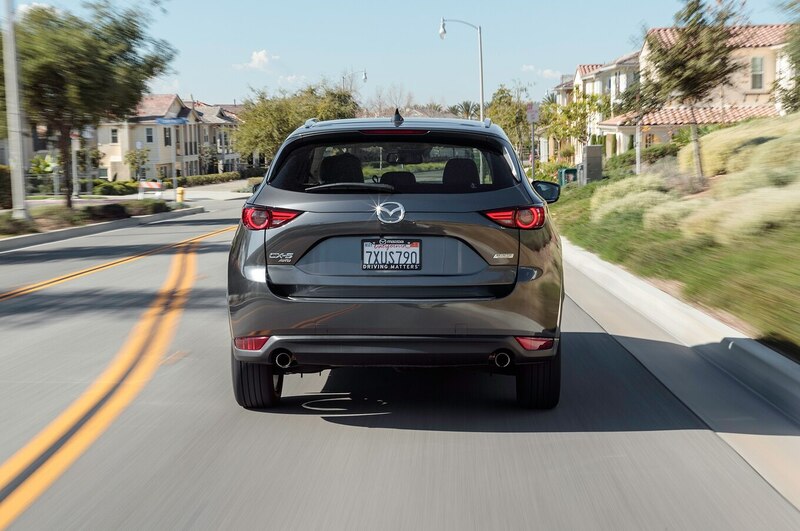 Taller riders will appreciate the Mazda’s superior headroom front and especially rear, where the seat is lower. 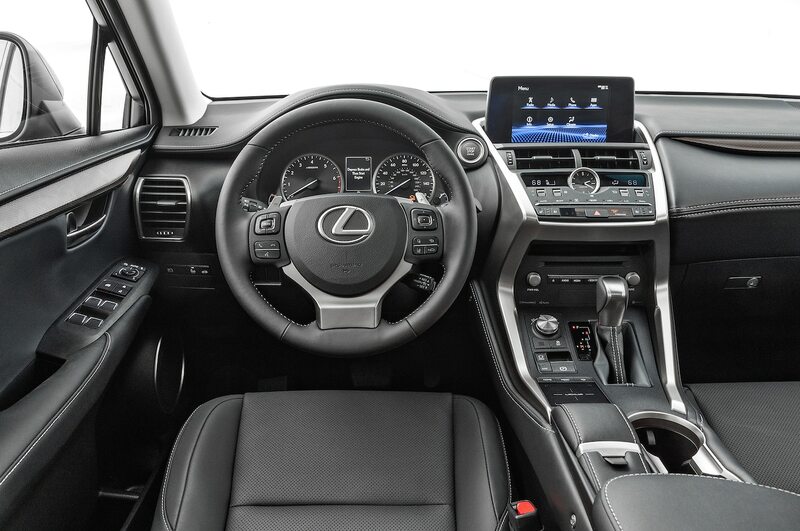 They give up a bit of legroom up front to the Lexus but gain substantially more in the rear. 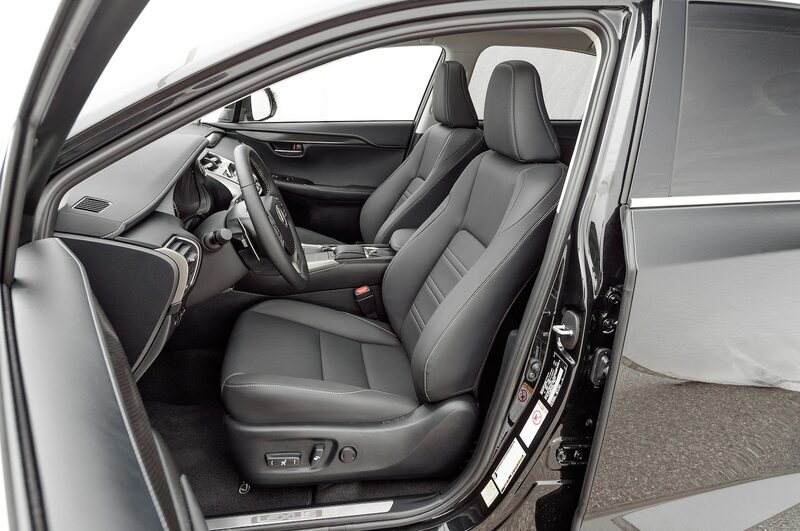 The actual rear seat of the Lexus is more comfortable once you climb up onto it—making sure to watch your head on the way in. 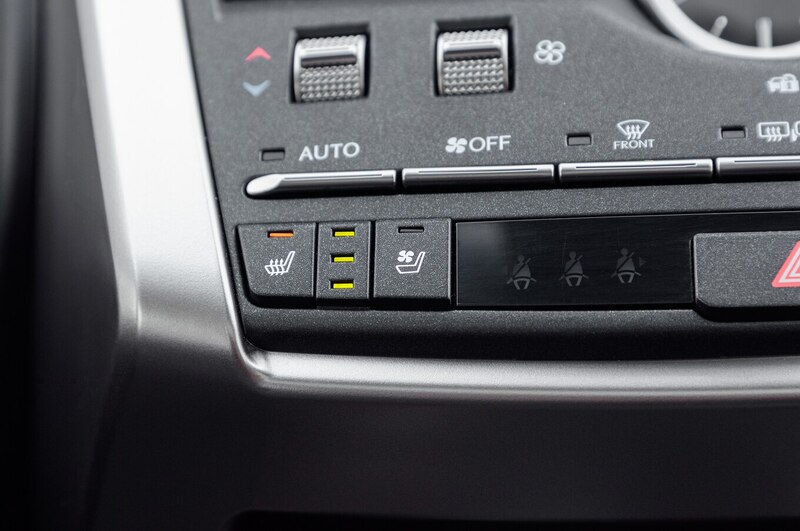 Both vehicles’ rear seats recline, but only the Mazda’s are heated. Speaking of features, it’s generally a given the more you spend over the base price, the more you’ll get. 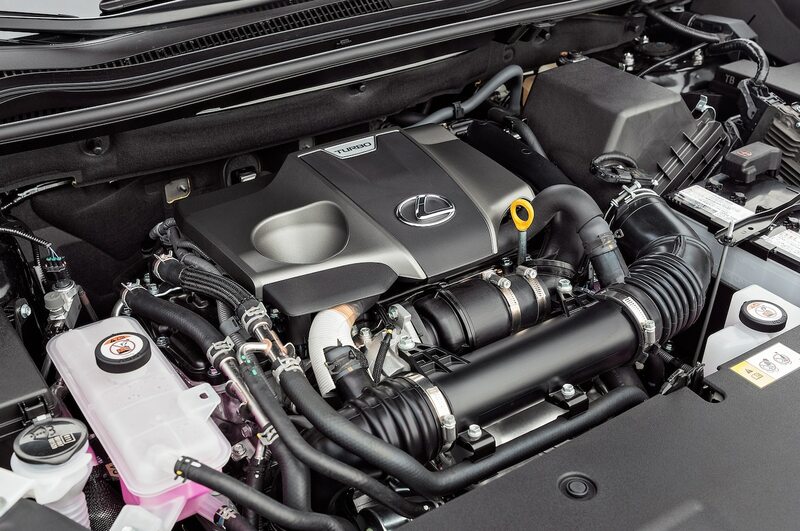 Surprisingly, though, the entry-trim Lexus is fairly well-equipped for its price. 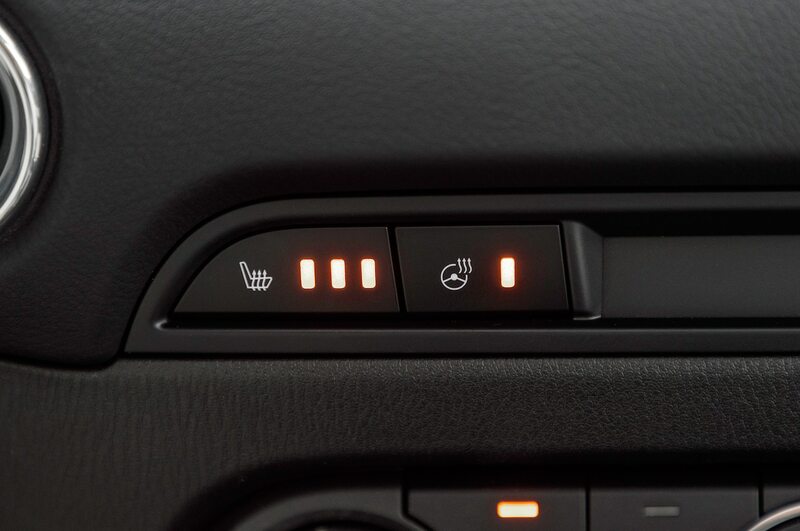 Our tester has heated and cooled front seats, active cruise control, a suite of crash-avoidance technology, a moonroof, parking sensors, blind-spot monitors, and a power tailgate—and still came in just over our $40,000 USD price cap as tested . 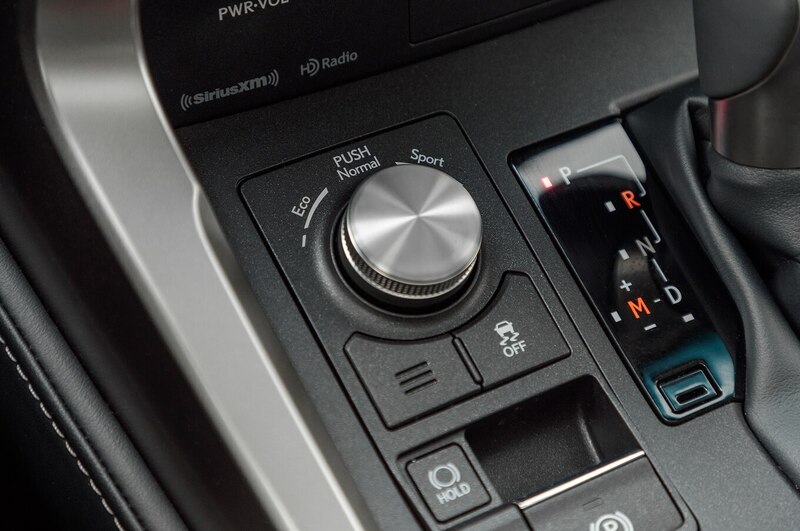 To that impressive features list, though, the Mazda adds navigation (albeit like a Garmin from 10 years ago), heated rear seats, a head-up display, and a significantly better-sounding stereo. 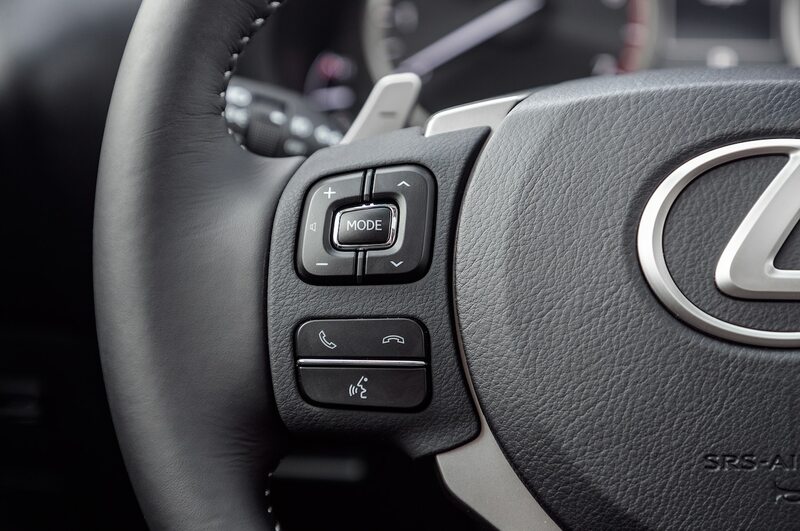 Neither vehicle came equipped with Apple CarPlay or Android Auto. 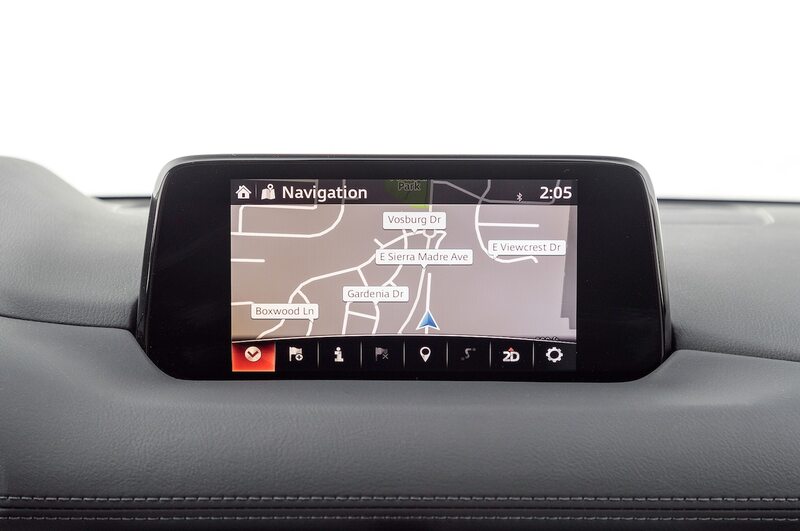 Both will offer CarPlay soon, but only Mazda has committed to offering Android Auto. 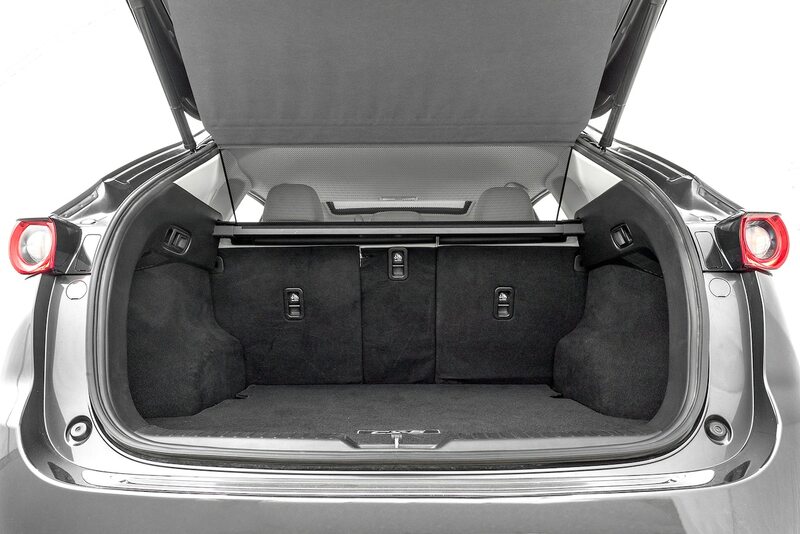 Sometimes the most important feature of all, however, is the ability to take all your stuff with you. Here, the Lexus is at a decided disadvantage. 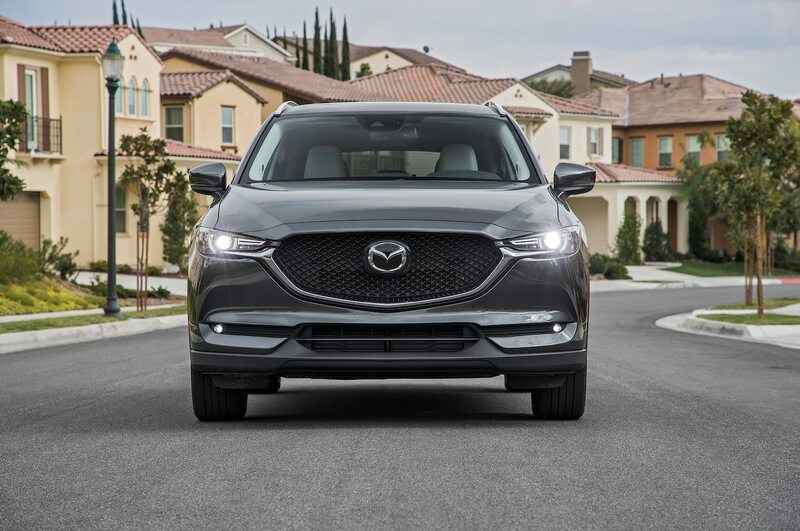 Despite being larger in every external dimension, it has little more than half the cargo space of the Mazda behind the second row. 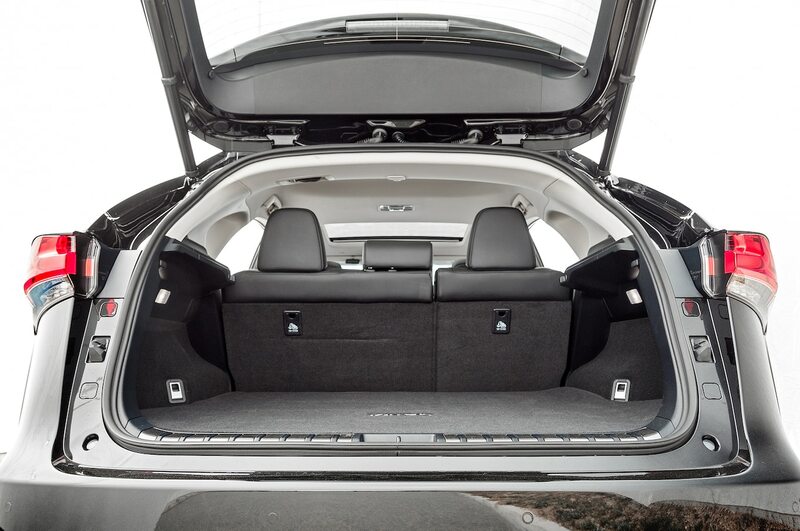 Lowering the rear seats makes the two nearly equitable behind the first row, though to do so in the Lexus you’ll have to go around to the side doors while the Mazda has release handles in the cargo area. Most other times, time itself is the greatest luxury. The less of it spent at the gas station, the better. 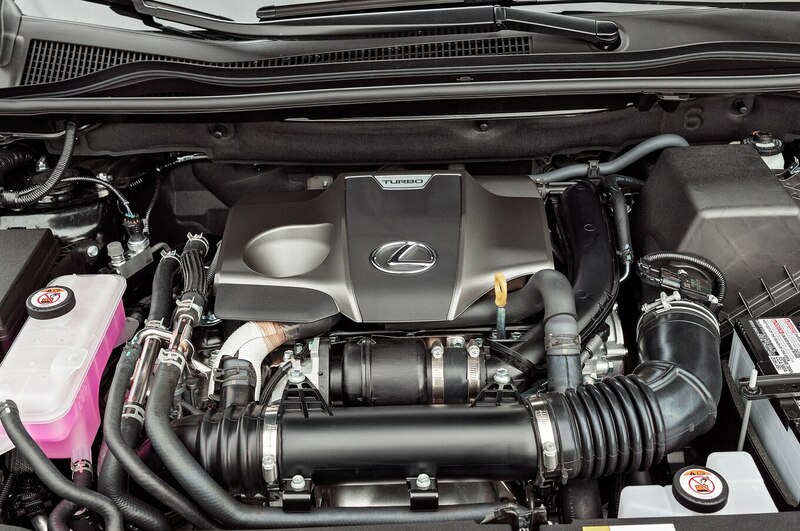 You’ll likely see the pump a bit less often with the Lexus despite it being turbocharged. 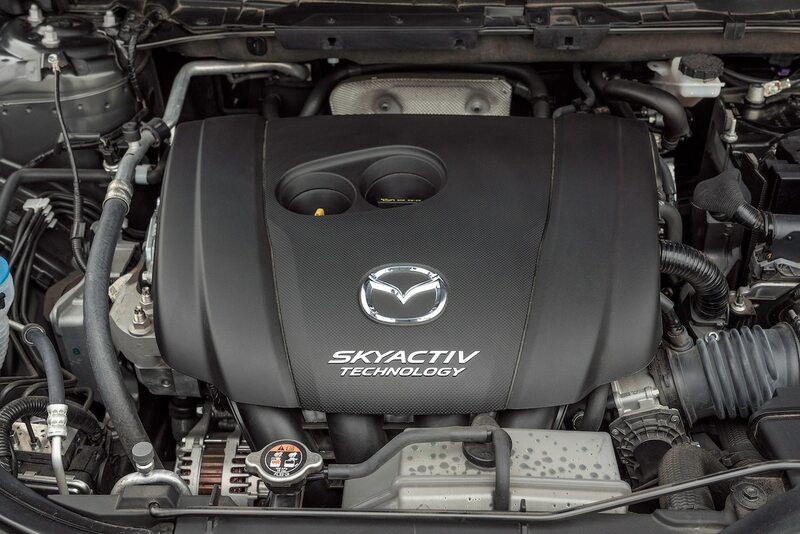 The two offer nearly identical EPA-estimated fuel economy, with the Mazda claiming a 1-mpg (235.2-L/100km) advantage across the board. 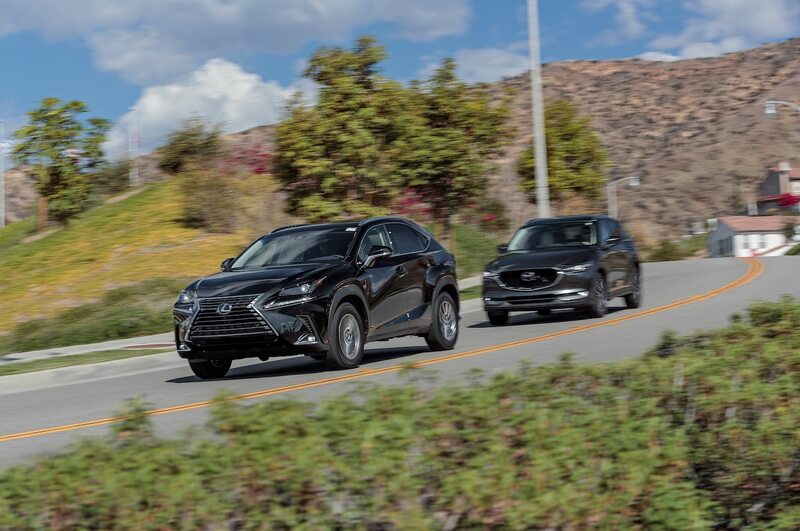 In our Real MPG testing, though, the Mazda struggles in city driving and excels in highway driving; the Lexus is consistent in the city and better than advertised on the highway. 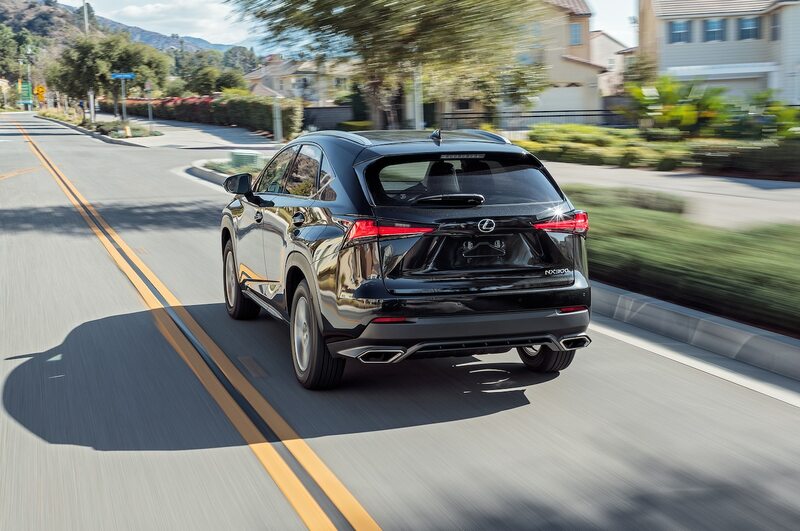 Per our testing, the Lexus’ combined fuel economy is noticeably better. Some say time is money, but money is actually money. 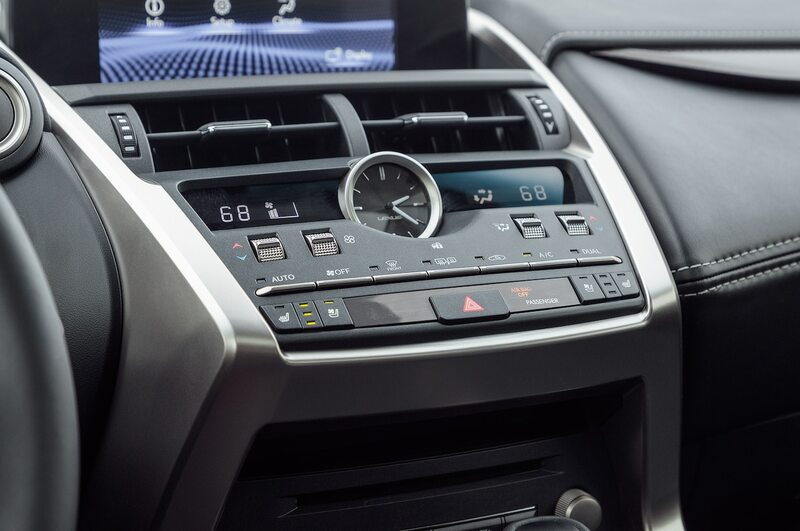 In addition to the purchase price, you’re going to incur costs in ownership, including repairs, routine maintenance, registration fees, insurance, and fuel. Then, when it comes time to sell, you’ll have to face the hammer of depreciation. Per data collected by our partner IntelliChoice, you’re going to come out ahead with the Mazda over five years of ownership. Much of this owes to the lower purchase price and subsequently lower financing costs, but IntelliChoice predicts lower insurance and maintenance costs, as well. 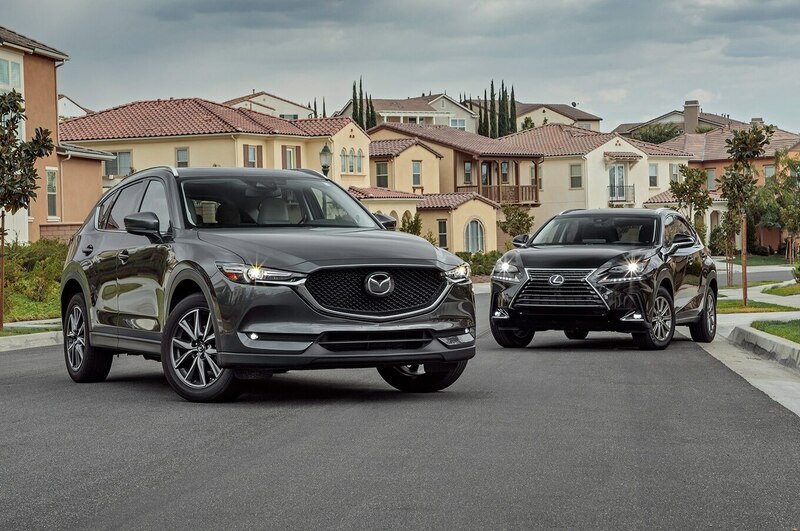 The Mazda’s residual value after five years is also surprisingly close to that of the Lexus—which is generally considered the industry gold standard and was the highest of all eight vehicles we evaluated for this test. In what was by far the closest decision of these four comparison tests, this is what it came down to: money. The actual vehicles are so evenly matched that if they cost the same, we might recommend the Lexus for the badge appeal and white-glove dealer treatment alone. That’s far from the case, though. As they sit, there’s a $6,653 USD price gap between the two, and that’s impossible to ignore. 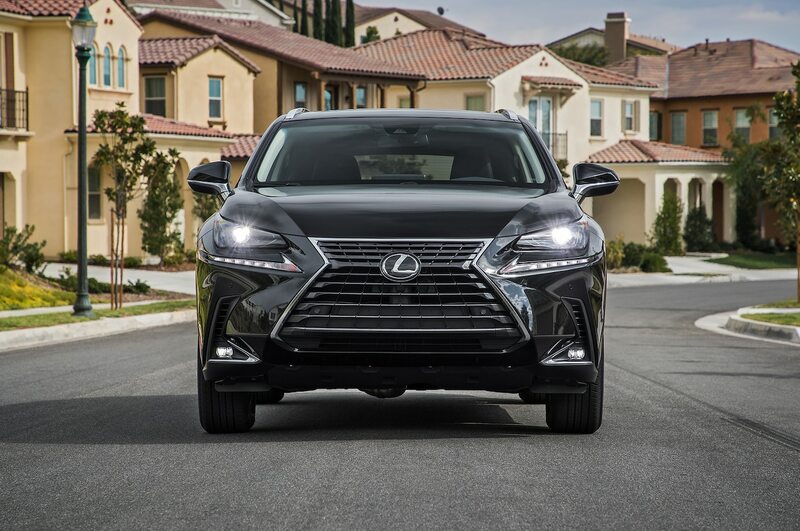 You could knock the options off the Lexus and get it down to a $3,170 USD gap, which is more palatable but with less stuff to show for it. 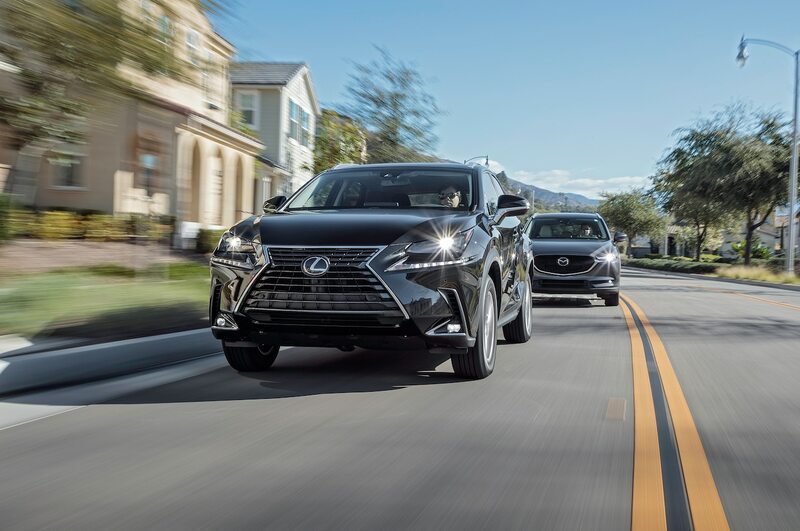 Speaking of stuff, we can’t forget that our Lexus is front-wheel drive while our Mazda is all-wheel drive. Making things fair, you’d need to put another $1,400 USD on the Lexus’ window sticker, opening the gap back up to nearly $5,000 USD. 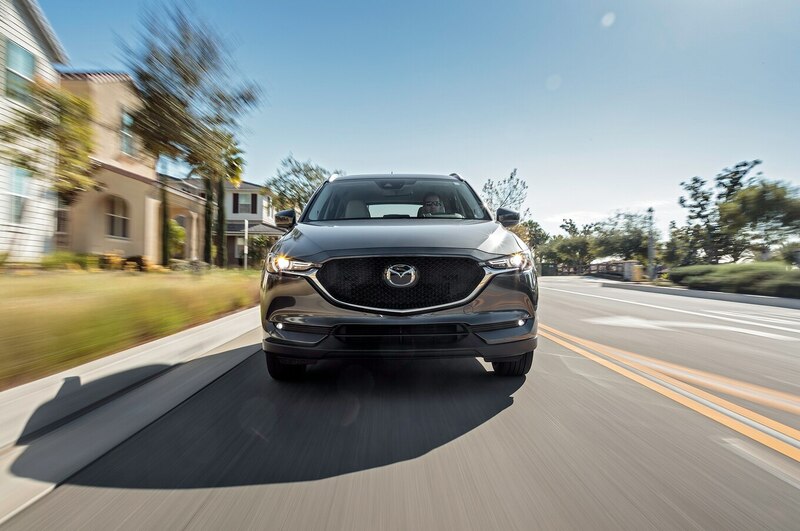 At the all-wheel-drive NX 300’s $38,380 USD starting price, you could have a CX-5 Grand Touring fully loaded with every accessory Mazda offers, right down to the locking lug nuts. When it comes right down to it, the gap of more than $6,500 USD for two equally matched vehicles is just too wide to bridge. 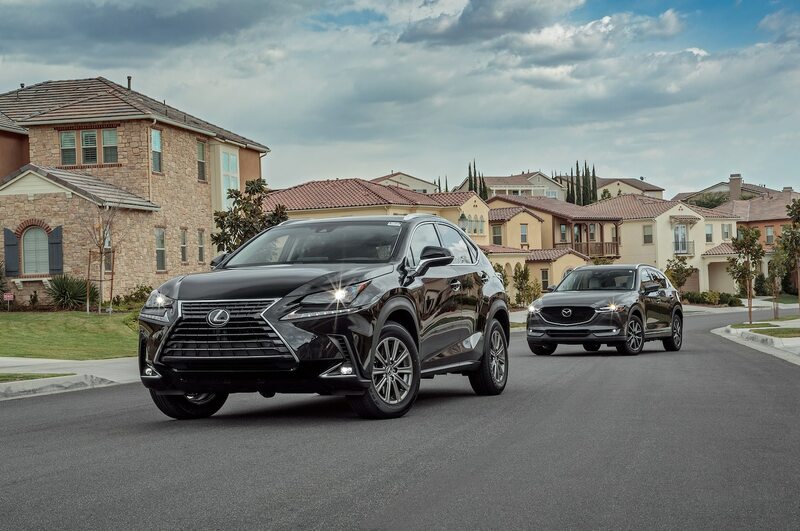 With the degree to which vehicles can vary, it’s not often we can say you can get the same or better for less, but if you’re cross-shopping the Mazda CX-5 and Lexus NX 300, you absolutely can. 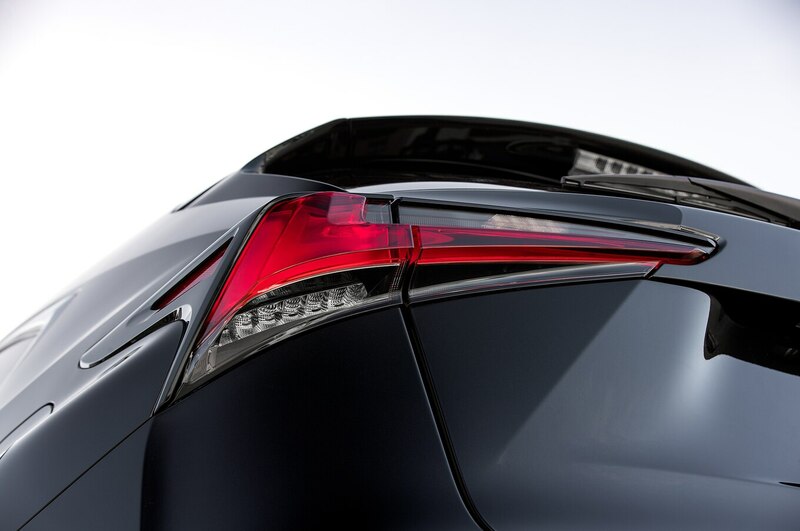 Check back here on Motor Trend tomorrow for our last two luxe comparisons! Read our other comparison tests right here!